I'm totally slacking on the photography, and it feels so nice. To be honest, these photos are pretty crap, but I feel strange that I haven't posted anything in a week. 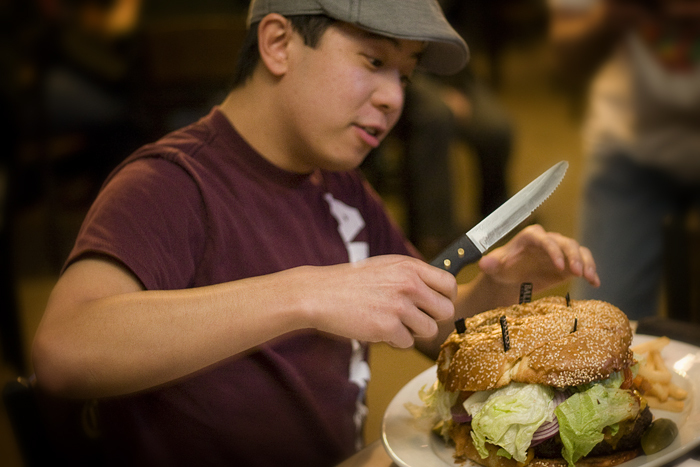 A bunch of Yelpers got together to watch Anthony M tackle the 3-pound burger challenge at Tequila Bar & Grill inside Bally's. He only finished about half the burger, but Misti cajoled the manager dude to give him a sombrero for his efforts.